DVMEGA Cast at the Landelijke Radio Vlooienmarkt Rosmalen. 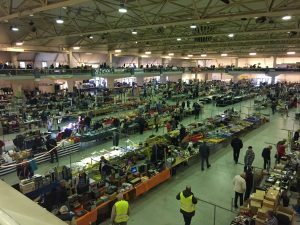 DVMEGA Cast will be present at the Landelijke Radio Vlooienmarkt in Rosmalen on 16 march. You can find us at booth A36, just opposite the restaurant. This year, Jonathan Naylor (G4KLX) will be at the DVMEGA booth to get acquainted with Dutch hams. Jonathan is one of the leading developers in the world of digital voice. Thursday morning, very early. Ruud and myself will leave for another great Hamcation experience. This year we are present at the GigaParts booth to do the General sales release of the DVMEGA Cast. We are there to do the promotion and tell people all they want to know about DVMEGA Cast. I wish everyone a very happy New Year, would like to express a word of thanks for the trust in DVMEGA products. 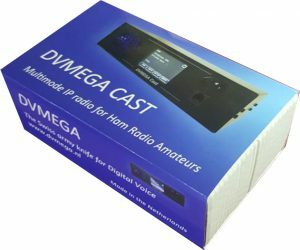 I will do my very best to make the best use of the DVMEGA products possible for all of you. This morning the new DVMEGA website is switched live. News, firmware updates and other messages will be anounced via the blog on this homepage.